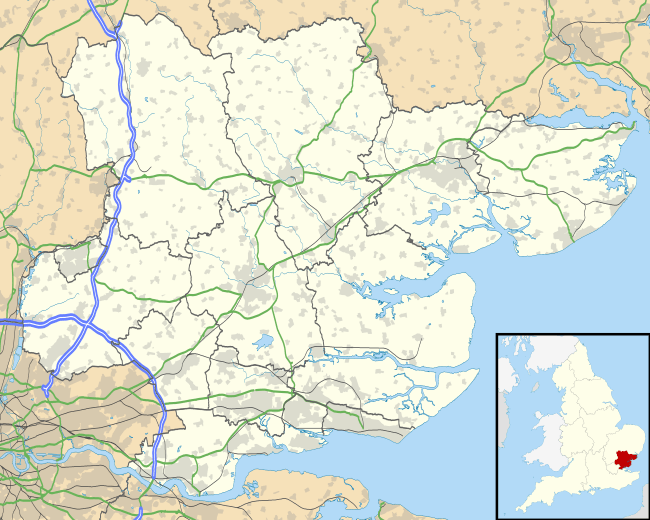 London Stansted Airport (IATA: STN, ICAO: EGSS) is an international airport located at Stansted Mountfitchet in the local government district of Uttlesford in Essex, 30 mi (48 km) northeast of Central London and 0.9 mi (1.4 km) from the Hertfordshire border. London Stansted currently serves over 170 destinations across Europe, North Africa, Central and North America and more scheduled European destinations than any other airport in the UK. 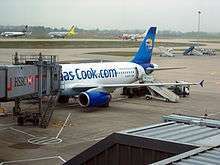 Stansted is a base for a number of major European low-cost carriers, being the largest base for low-cost airline Ryanair, with over 130 destinations served by the airline. In 2015 it was the fourth busiest airport in the United Kingdom after Heathrow, Gatwick and Manchester. Stansted's runway is also used by private companies such as the Harrods Aviation terminal which is opposite the main terminal building and handles private jets and some state visits. The airport is owned and operated by the Manchester Airports Group (MAG), which also owns and operates three other UK airports. MAG agreed to buy the airport from Heathrow Airport Holdings, formerly BAA, on 18 January 2013, and the sale was completed for £1.5 billion on 28 February 2013. BAA had been required to sell the airport following a ruling originally made by the Competition Commission in March 2009. The terminal building was designed by Foster Associates with input from the structural engineer Peter Rice, and features a "floating" roof, supported by a space frame of inverted-pyramid roof trusses, creating the impression of a stylised swan in flight. The base of each truss structure is a "utility pillar", which provides indirect uplighting illumination and is the location for air-conditioning, water, telecommunications and electrical outlets. The layout of the airport was designed to provide an unobstructed flow for passengers to arrive at the short-stay car park, move through the check-in hall, go through security and on to the departure gates all on the same level. 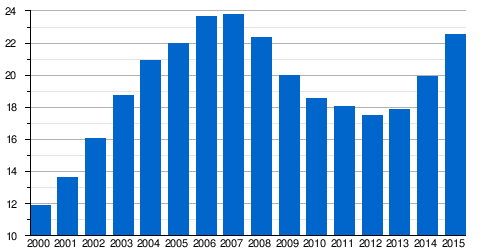 From 1997 to 2007, Stansted saw rapid expansion of passenger numbers on the back of the boom in low cost air travel, peaking at 24 million passengers in the 12 months to October 2007, but passenger numbers declined in the next five years to 2012. Passenger totals have since risen, and in 2014 recorded an annual increase of 11.7% to 19.9 million. 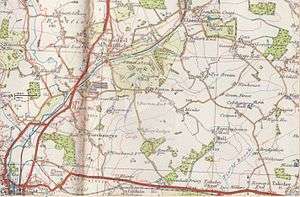 In 1968–71 the Commission for the Third London Airport (the "Roskill Commission") did not include Stansted as one of its four short-listed sites and recommended that Cublington in Buckinghamshire should be developed as London's third airport. From the outset, however, BAA and the British government planned to develop Stansted into London's third airport, to relieve Heathrow and Gatwick of excess congestion in the future. The airport's first terminal building opened in 1969 and was expanded the next year to handle the growing number of passengers. Since 1984 the airport's capacity had been limited to a maximum throughput of 25 million passengers per annum (25 mppa) in accordance with recommendations made by the 1984 public inquiry and confirmed by the government of the day. In 1984, the government approved a plan to develop Stansted in two phases, involving both airfield and terminal improvements that would increase the airport's capacity to 15 million passengers per year. The current terminal building was designed by architect Norman Foster. Construction was undertaken by John Laing and took place between 1988 and March 1991, costing £100 million. In 1990 it was awarded the European Union Prize for Contemporary Architecture / Mies van der Rohe Award. Long-haul scheduled services commenced in the early 1990s when American Airlines operated a transatlantic service between Stansted and Chicago, however the route was unprofitable and was withdrawn in 1993. Continental Airlines also operated services in the late 1990s from Newark, but this service was stopped shortly after the 11 September 2001 attacks. Long-haul services to the USA returned in late 2005, when Eos Airlines and MAXjet Airways commenced all-business-class services from Stansted to New York-JFK Airport. In 2006, MAXjet expanded their service with flights to Washington, D.C., Las Vegas and Los Angeles. American Airlines began daily flights to Stansted in October 2007 from New York-JFK and was originally expected to operate a second daily flight from April 2008. However, all three services to the USA have since been discontinued following the demise of MAXjet Airways in December 2007 and Eos Airlines in April 2008. Finally, in July 2008 American Airlines withdrew from the airport. Stansted also had scheduled and charter flights to Toronto, Montreal and Vancouver, but these flights to Canada have now ceased. Long-haul services to Asia commenced in March 2009 with Malaysian low-cost airline AirAsia X providing direct flights to Kuala Lumpur; however, since 24 October 2011, these flights have operated from Gatwick Airport instead. In November 2006, Uttlesford District Council rejected a BAA planning application to increase the permitted number of aircraft movements and to remove the limit on passenger numbers. BAA immediately appealed against the decision and a public inquiry opened lasting from May until October 2007. Planning Inspector Alan Boyland made his recommendations in January 2008. Those recommendations were largely followed by the Secretary of State for Transport (Geoff Hoon) and the Secretary of State for Communities and Local Government (Hazel Blears), who jointly allowed the applicant's appeal in October 2008. A series of legal challenges by community campaign group Stop Stansted Expansion (SSE) were rejected by the High Court during 2009. 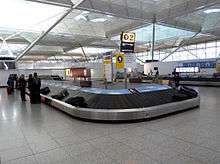 Stansted is the newest passenger airport of all the main London airports. The terminal is an oblong glass building, and is separated into three areas: Check-in and main concourse along the front, Departures towards the back left and Arrivals on the back right upon entry. There are no gates in the main Terminal building; instead there are three separate oblong satellite buildings in which the gates are located. A fourth satellite building was planned, in addition to an extension to the main terminal building, but never completed. An additional building, known as the Advanced Passenger Vehicle (APV), was brought back into use in 2016 for flights departing during the busy 06:00 to 08:00 period. The APV building is linked to the main terminal building by an accessible route and acts as a bus terminal for international flights at remote stands. Prior to the completion of Satellite 3, this terminal (then numbered gates 90-95) was in regular passenger use. Satellite 3 40-58 Walkway from main terminal building Used exclusively by Ryanair; no air bridges serving the gates. APV 90-93 Walkway from main terminal building Used only by Ryanair; acts as a terminal for buses to remote stands. Domestic arrivals use a separate exit route, located at the far left, when facing the main entrance. This exit is connected solely by footbridge to Satellite 2. When a domestic flight arrives at a gate which is not located in Satellite 2, passengers are transported to a gate on Satellite 2 by a courtesy bus service from the aircraft. The terminal facilities include several bureaux de change, luggage services, internet access, toilets, showers, a chapel and multi-faith prayer room for worship. There are over 60 shops, bars, restaurants and cafés throughout the airport as well as airport lounges. Stansted has a variety of car parking including Long, Mid and Short Stay options along with Valet and Meet and Greet Parking services. There are also two drop off areas available. The express area is located near the short stay car park while a free service is within the mid stay. A fee is charged for the express service. Terminal Road North and its free drop off area directly outside the terminal was closed shortly after MAG took over the airport in 2013. Since 2004, Stansted also offers a range of hotel accommodation including the Hilton, Premier Inn and Radisson Blu hotels, the last of which is within two minutes of the Terminal building via an undercover walkway. There are regular bus service transfers between the Terminal building and Stansted's car parks and hotels. The Terminal Building where the Control Tower can be seen adjacent to it. Stansted's air traffic control tower was completed in 1996 and is amongst the tallest in Britain and was the tallest at the time of its construction. 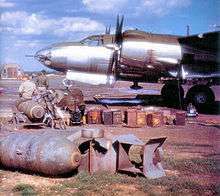 It is located at the north-east of the airfield just to the south of the terminal building. It has green-coloured tinted glass which matches that of the windows on the satellite buildings. It replaced the old control tower, which offered poor views of the airfield once the current terminal building was opened in 1991. MAG announced on 20 June 2013 as part of a visit to the airport by the Secretary of State for Transport that it would be launching an £80 million terminal redevelopment programme. MAG has invested £40 million and the remainder was invested by other commercial partners.The redevelopment included relocation of the security area, doubling the amount of seating and improving the information displays. The new Departure Lounge offers a Food Court, a number of new shops and Escape Lounge. However, many travellers have voiced concerns and complaints about the new layout because passengers are guided through a shopping walkway, and seating has been reduced in the main departure lounge. Satellite One has also been redeveloped with the aim to attract more long haul airlines to Stansted. In 2007 passenger numbers peaked at nearly 24 million, but then declined for 5 years and in 2012 the total was around 17.5 million. An increase of 2.2% was recorded in 2013 to 17.8 million passengers, then 11.7% in 2014 to 19.9 million, followed by 12.8% in 2015 to 22.5nbsp;million, making Stansted the fourth busiest airport in the United Kingdom. Stansted also is a major freight airport, the third busiest in the UK during 2015, behind London Heathrow and East Midlands Airport, handling in excess of 207,000 tonnes per annum, although freight throughput has declined slightly from its 2005 peak level. CrossCountry operates services from the airport to Birmingham New Street, via Cambridge, Peterborough and Leicester, which run every 60 minutes. Abellio Greater Anglia operates local stopping services to Cambridge. A few local bus services operate to the nearby communities of Bishops Stortford and Stansted Mountfitchet, most notably the 510/509/508 (Harlow to Stansted via Stansted Mountfitchet, Parsonage Lane and Takeley respectively), 308 (Bishops Stortford to Stansted) and the 700 Express (Stevenage to Stansted). Villagelink services 5 and 7 connect to many of the nearby villages. Journeys are free of charge within the vicinity of the airport, by reason of a green travel plan instituted by the BAA to reduce staff demands for parking space. Stansted is also the start of coach X30 service to Southend-on-Sea via Chelmsford and Southend Airport, oprated by First Essex, this route runs hourly 24 hours a day. ↑ "London Stansted – EGSS". Nats-uk.ead-it.com. Retrieved 6 September 2013. 1 2 3 4 5 6 7 8 "Aircraft and passenger traffic data from UK airports". UK Civil Aviation Authority. 25 March 2016. Retrieved 4 April 2016. ↑ "Stansted Airport being sold to Manchester for £1.5bn". BBC News. 19 January 2013. Retrieved 28 February 2013. ↑ Sinead Holland (28 February 2013). "£1.5 billion Stansted Airport sale complete". Harlow Star. Retrieved 28 February 2013. ↑ Wright Aircraft Illustrated February 1978, p. 70. ↑ Wright Aircraft Illustrated February 1978, pp. 70–71. ↑ Roskill (1971). Report, Commission on the Third London Airport. London: HMSO. ↑ Harrison, Michael (1 April 1993). "American Airlines to quit Stansted: Long haul carrier scraps Chicago service". The Independent. UK. Retrieved 11 May 2010. ↑ "Runway protest strands passengers". BBC News. 8 December 2008. Retrieved 11 May 2010. ↑ "BAA could challenge airport sale". BBC News. 19 March 2009. Retrieved 28 February 2013. ↑ "BAA sell-off back on track after court ruling". BBC News. 13 October 2010. Retrieved 28 February 2013. ↑ "BAA loses final Competition Commission sell-off ruling". BBC News. 19 July 2011. Retrieved 19 July 2011. ↑ "BAA loses latest appeal against Stansted sale". BBC News. 26 July 2012. Retrieved 28 February 2013. 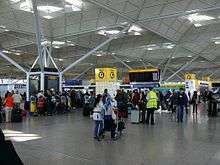 ↑ "Stansted Airport to be sold by BAA". BBC News. 20 August 2012. Retrieved 28 February 2013. ↑ "Airport Management Report" (PDF). Retrieved 10 September 2016. ↑ "Prayer Room". Retrieved 11 February 2014. ↑ "Stansted Airport Lounge". Retrieved 11 February 2014. ↑ "Pick Up and Drop Off". Retrieved 2 June 2015. ↑ "Stansted Airport Control Tower – MDA Consulting". Retrieved 29 October 2010. ↑ "Contact Us." Titan Airways. Retrieved 16 December 2011. "Titan Airways Ltd Enterprise House Stansted Airport Essex CM24 1RN"
↑ "Home-page." [sic] AirUK. Retrieved 28 February 2010. ↑ "World Airline Directory." Flight International. 18–24 March 1998. 82. ↑ "Contact Us." Buzz. Retrieved 2 September 2009. ↑ "An Introduction to AB Airlines." AB Airlines. 30 January 1998. Retrieved 7 February 2011. "AB Airlines – Internet Enquiry Office Enterprise House, Stansted Airport Essex. CM24 1QW"
↑ "World Airline Directory." Flight International. 10 April 1969. 580. "Head Office: Lloyd House, First Avenue, Stansted Airport, Essex." ↑ "World Airline Directory." Flight International. 27 March – 2 April 2001. 77. "Enterprise House, 2nd Floor, Stansted Airport, Stansted, Essex, CM241SB, UK"
↑ "£2.5bn Stansted Generation 2 planning bid submitted". Transport Briefing. 12 March 2008. ↑ [ARCHIVED CONTENT] The Future of Air Transport – White Paper and the Civil Aviation Bill. Webarchive.nationalarchives.gov.uk. Retrieved 16 August 2013. ↑ Airports Commission. GOV.UK. Retrieved 16 August 2013. ↑ Stansted Airport Airfield Fire Services 30 March 1998 Emerald Airways HS748 engine exploded on take off whilst carrying the Leeds United football team, aircraft written off but no one injured. Captain John Hackett received awards for his actions saving the passengers lives. ↑ "Transport Secretary Launches £80 Million Terminal Redevelopment". London Stansted Airport. 20 June 2013. Retrieved 11 February 2014. ↑ "Cambridge News - News, Sport and Events from around Cambridge". ↑ "Flight Timetables - Jet2.com". ↑ "City of Derry Airport: Ryanair flight to London axed". 13 September 2016 – via www.bbc.co.uk. ↑ "Ryanair Launches London Summer 2017 Schedule, 2 New Routes To Strasbourg & Faro, Calls On Govt To Approve 3 London Runways In Post Brexit Initiative". ↑ "Offizielle Ryanair-Website - Billigflüge - Günstige Flüge". ↑ "Thomson adds Stansted – Geneva service in W16". routesonline.com. 1 2 "Stansted: Freight carrier Cargolux launches Hong Kong and Luxembourg link". Eadt.co.uk. 10 February 2013. Retrieved 6 March 2013. ↑ UBM Aviation,OAG Cargo. "Welcome to Inforwarding – Operational Announcements for the Air Cargo industry". Retrieved 2 June 2015. ↑ "1983 – 1997 Airport Statistics – Aviation Intelligence". United Kingdom Civil Aviation Authority. Retrieved 28 January 2013. ↑ "Stansted's Hijack History". BBC News. 7 February 2000. Retrieved 6 January 2014. ↑ "Hijacking Description". Aviation Safety Network. 6 January 2014. Retrieved 6 January 2014. ↑ "Special report: Hijack at Stansted". BBC News. 14 February 2000. Retrieved 5 April 2007. ↑ "Afghans win right to stay in UK". BBC News. 13 July 2004. Retrieved 5 April 2007. ↑ "Two men arrested for 'endangering aircraft' as passenger plane is diverted to Stansted Airport". Herts and Essex Observer (Online). 22 September 2013. Retrieved 8 October 2013.